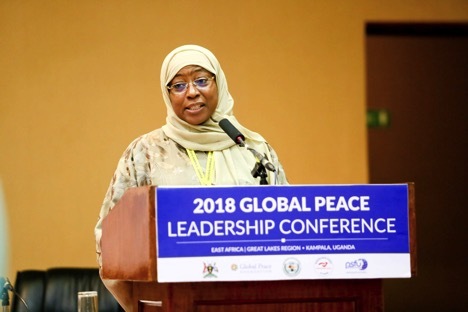 Thousands of leaders, including regional and international educators, business leaders, clerics, parliamentarians, and heads of state from 16 countries, gathered in Uganda to explore peacebuilding and sustainable development across the continent at the 2018 Global Peace Leadership Conference hosted in Kampala. The Women’s Track, Peace Begins in the Home: Women-led Initiatives for Peace and Development, provided a wide range of approaches and models for comprehensive peacebuilding from home to the world, with topics such as healthy relationship building, financial capacity building, and women’s participation in the decision making process. Speakers also shared how women-led initiatives could play a crucial role in meeting the UN Sustainable Development Goals and new opportunities for peace and development. More than 300 women leaders, policy makers, NGO experts, educators, civil society leaders, business leaders, and artists from 12 countries attended the women’s track. Speeches by influential women leaders and interactive discussions at the conference was a model of how dialogue and the sharing of resources can lead to peace and development on the grassroots and community levels. 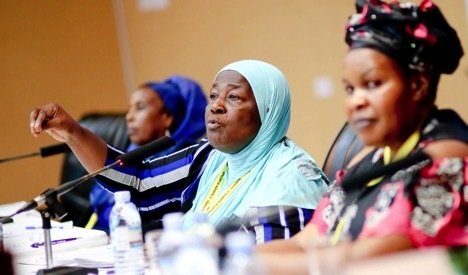 Prominent business leaders, such as Mrs. Amina Hersi Morghe and Mrs. Julian Nyamahunge Omalla, held capacity-building trainings and business-development trainings to provide a means for success for the women in the session. The Chairwoman highlighted the positive impact women make in society by tackling the fundamental issues that affect basic God-given human dignity and the value of all people. She also indicated that the tribes, faith communities, and government bodies must reinforce and support the values-based lessons taught from the family level through appropriate policies and assistance. Therefore, solutions that emphasize the value of family and women’s indispensable role in their homes and communities will make a lasting, positive impact on the world. Each session provided an opportunity for discussion with the speakers who shared their best practices and unique approaches to peacebuilding with the participants. 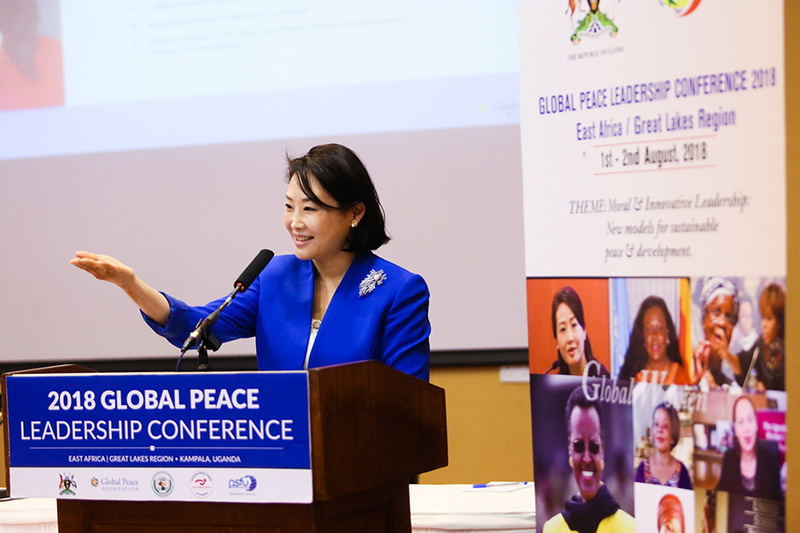 Read more about the 2018 Global Peace Leadership Conference and sign up for monthly newsletters for the latest news from Global Peace Foundation.